Very long ago there were not one but two Suns moving through the sky. One of them was huge and heavy. Once the sky wasn't able to hold it any more, and the Star fell into the sea, hardening during the fall. Having hit the sharp rocks at the bottom, it broke into small pieces. Since then, the waves have raised large and small pieces of the sun stone from the sea bed and cast them ashore. 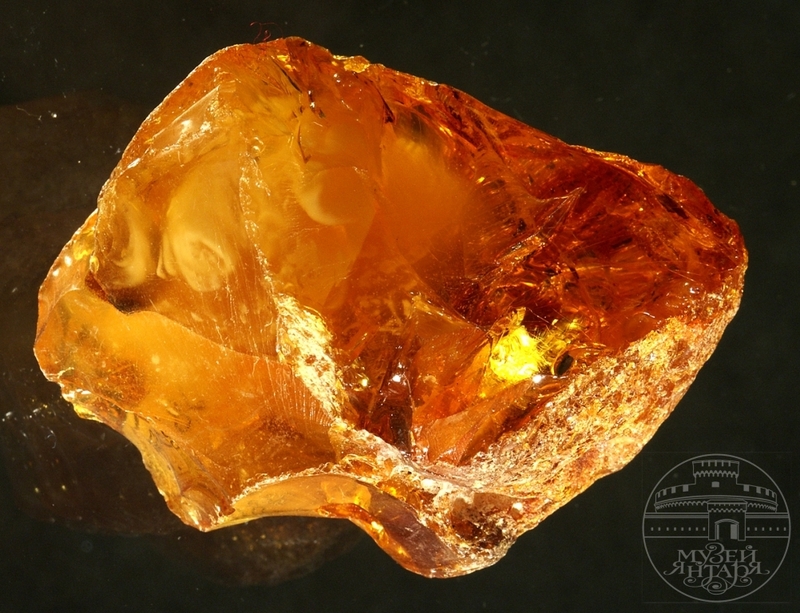 The world's largest amber deposit is located in the Kaliningrad region. The beauty of this stone and its properties have been valued highly by people since ancient times. More than 6,000 years ago, people made beads, figurines in the form of sun, moon, animals, hatchets, teeth and keys of amber and trusted in the magical power of such amber items. They believed that amber guarded people against evil spirits, evil eye, witchcraft and disease. In the XVII-XVIII centuries, amber was valued so highly that people almost equated it to gold. Amber usually got to Russia as diplomatic gifts. All Russian empresses had personal knick-knacks from amber: snuffboxes, frames for mirrors, toiletry, board games sets, etc. Modern science says that amber is fossilized resin of ancient conifers which were growing about 50 million years ago on the continent located in the Baltic Sea area. Amber is extremely diverse in colour, shape, transparency, size. The largest piece of amber in Russia weighs 4 kg 280 g and is kept in the collection of the Kaliningrad Amber Museum. Nowadays amber is still one of the favorite materials for jewelry artists.